Sunday is a special day for us at Seion Chapel. 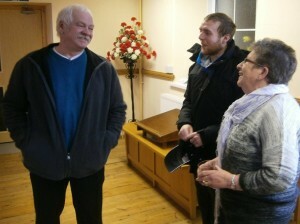 We meet together to worship God, to hear the Bible explained, and to enjoy fellowship with each other. You would be most welcome to join us. First of all, relax! You won’t be asked to do anything! And don’t worry about what to wear; some of us probably will be fairly smartly dressed, but others will be a lot more casual, so whatever you are wearing you won’t feel uncomfortable. When you arrive, you’ll be warmly welcomed on the door, and given a service sheet and possibly a hymn book (although we usually use a projector in our services now). 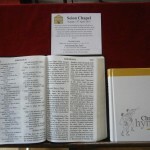 If you would like to borrow a Bible to follow the readings and the sermon then there are some available. You can then find a seat anywhere in the chapel. 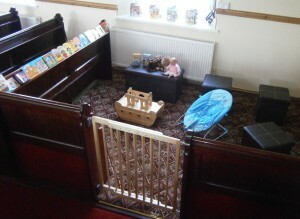 If you have young children, we have a carpeted area at the back of the chapel with some toys and books. Please feel free to take a seat and supervise them there. The morning service starts at 11am, and usually finishes between 12pm and 12:15pm. A typical morning service usually contains Christian songs, a short children’s talk, a Bible reading, a prayer and a message based on the Bible, usually from Seion’s pastor. We do take a collection at the beginning of our morning service, but this is for our regular attenders who like to support the work of the church — we are not after your money, and you’re not expected to contribute! Children’s activities (Seion Explorers) are run in a room at the back of the chapel during the latter part of the morning service by experienced children’s workers who are all DBS (Disclosure and Barring Service) checked. Usually on the first Sunday of the month the service will also include Communion, in which all Christians are welcome to participate. If you are not a Christian, then you are still very welcome at the service and to observe what happens at Communion. Our evening service starts at 5:30pm and usually lasts for about an hour. 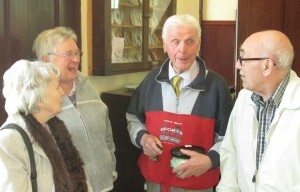 This service is similar in format to the morning, although there is no children’s talk, or children’s activities. If you’re with us on the third Sunday of the month you are welcome to join with us after the evening service for a cup of tea or coffee, cake and biscuits, and a time to chat. Please especially look out for our special All Age Family Services at Seion. These services are geared to be accessible to both adults and children (so there won’t be Seion Explorers, the children will stay in the service) and will be more informal than our usual morning services (although they actually aren’t all that formal!!). They take place in the room at the back of Seion. These services will consist of a variety of activities; including singing, prayer, readings and possibly a quiz. They will close with a short Christian talk from Seion’s pastor. We would really love to have your company- our next All Age Family Service will be the ‘Harvest Thanksgiving’ service on 24th September. Our ‘Shoebox Sunday’ Family Service will be on the 19th November.